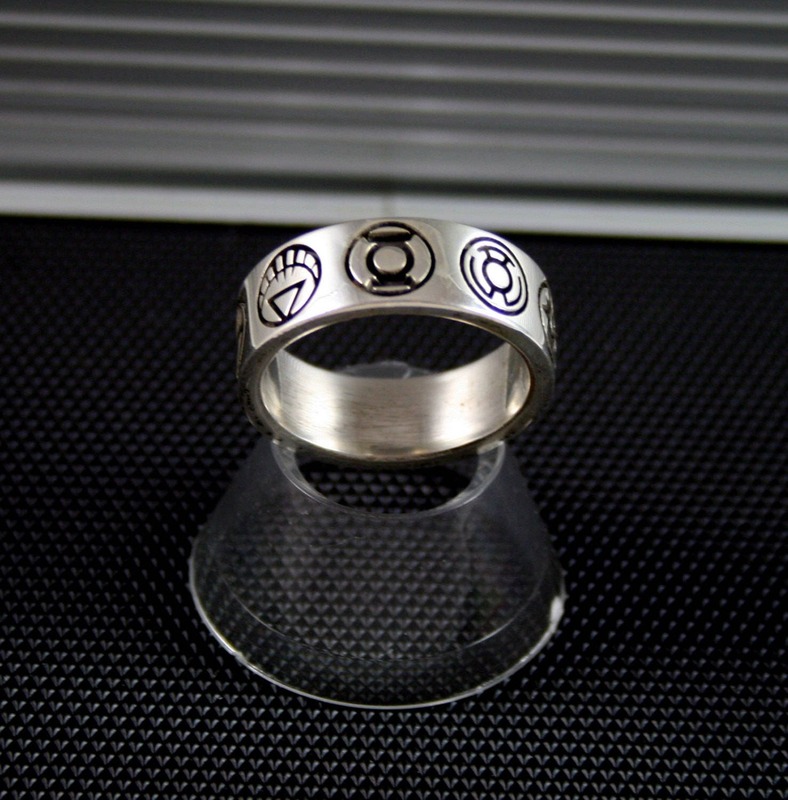 Custom 9 symbol Ring Green Lantern Inspired. This is the ULTIMATE Green Lantern Power Ring. This ring is custom made to order and no two rings are exactly alike making them one of a kind pieces to add to your collection. This ring contains ALL 9 symbols engraved into the ring. Not etched on like others that have tried to imitate us. 4-6 weeks To build and finish.